The April issue of the Cartographer’s Annual 2019 is available now. Between dusky bookshelves, rickety doors and moldy armchairs, Pär Lindström’s new style “Moody Mansions” is perfect for creating building floorplans for horror- or mystery-themed adventures and stories. 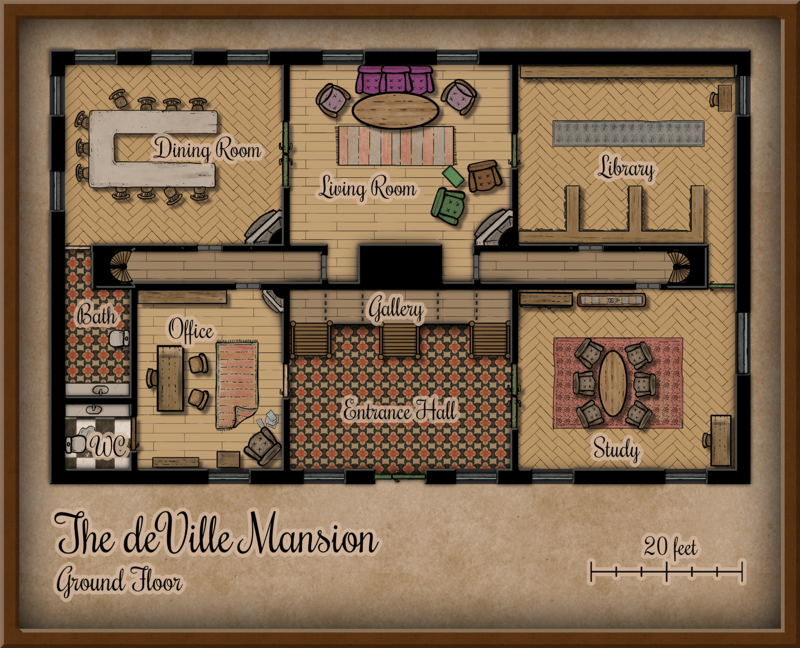 Whether your players are investigating that haunted house on the hill, or your story revolves around that last lonely occupant of a deteriorating home, the “Moody Mansions” style will create a matching map. If you haven’t done so already, you can subscribe to the Annual 2019 here. If you are already subscribed, the April issue is available for download on your registration page now.